Indian cricketer Harbhajan Singh and wife Geeta Basra spread their magic on the sets of Nach Baliye in Mumbai on April 18, 2017. The makers of the show have constantly given surprises for the viewers right from introducing the most popular couples from the industry to the guests on the show. The latest guests on the national dance floor were Harbhajan and Geeta, who appeared with their daughter, Hinaya Heer. 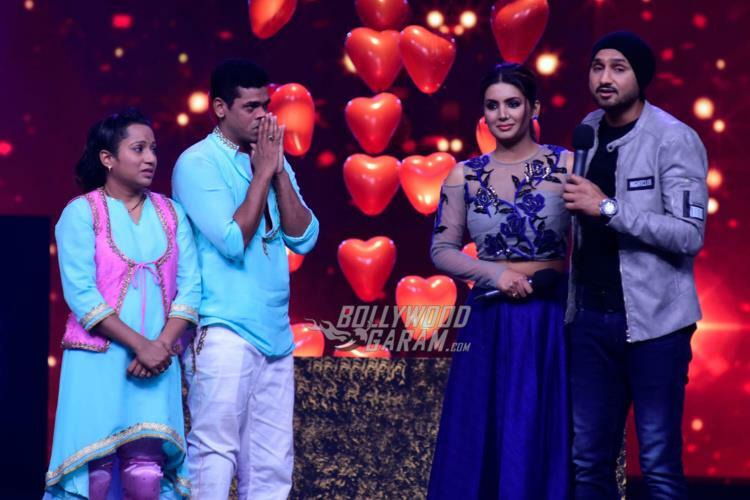 Harbhajan was seen encouraging the contestants of the show and also shook a leg with Geeta. Reports say that the couple had been preparing for the performance for quite some time and managed to impress the judges – Sonakshi Sinha, Mohit Suri and Terence Lewis. Apart from showing of their dancing skills, the cricketer also narrated his love story on the request of the contestants. 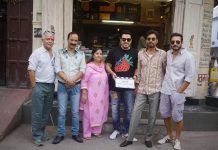 Geeta looked splendid in a blue skirt and a matching crop top while Harbhajan was seen in a casual t-shirt, denims and a jacket. The stunner of the show turned out to be Geeta and Harbhajan’s nine month year old daughter Hinaya, who looked cute in a blue dress. Harbhajan also took the opportunity to shake a leg with Sonakshi, who looked pretty in a sari. The episode had more for the viewers as the contestants and the judges played a game of cricket on the sets to mark the ongoing Indian Premiere League (IPL) season. 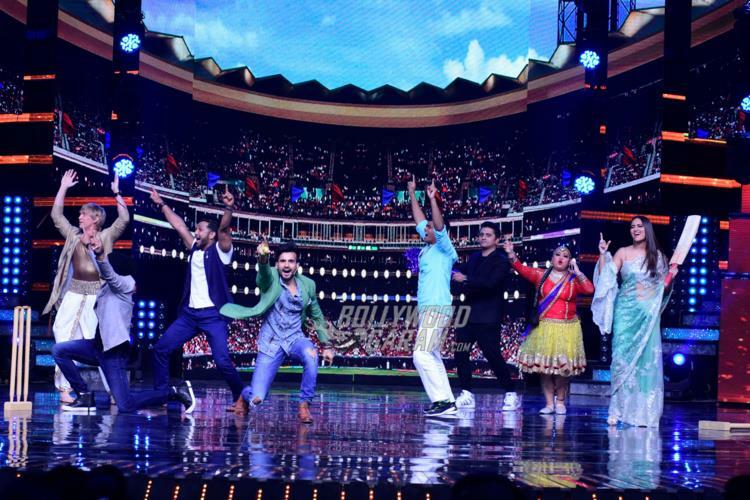 On the other hand, the contestants of the show gave their best performance but to the disappointment for the viewers – Divyanka Tripathi could not perform with her partner Vivek Dahiya, who then performed with his choreographer. Next articleThird role of Prabhas in Baahubali 2 as Maharaja Vikramadeva revealed!